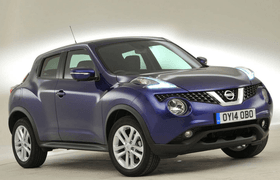 Used test: Mini Countryman vs Nissan Juke vs Skoda Yeti | What Car? 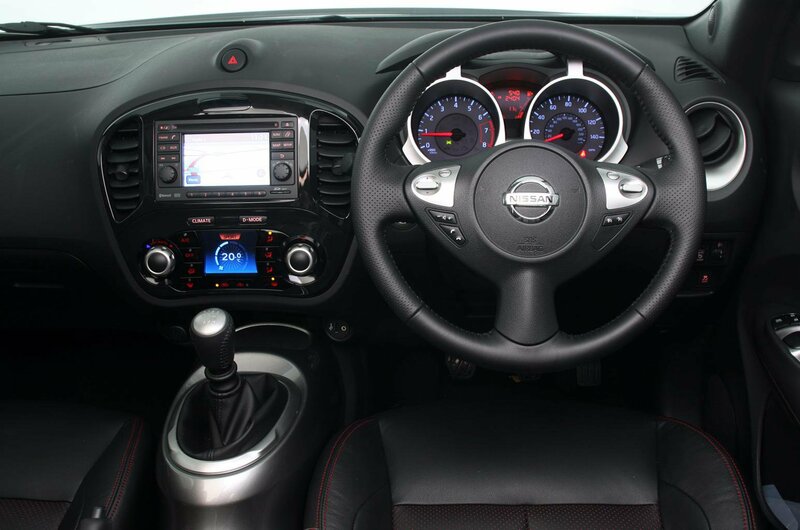 Stylish small cars often have surprisingly bland interiors, but that's not the case with the Juke's. The designers took inspiration from motorbikes, fitting striking 'floating' instruments and a painted centre console that resembles a motorbike's fuel tank. What's more, ease of use wasn't ignored, so most of the controls are intuitive. However, Nissan used some cheap materials, which today means that Jukes that have been put through the rigours of family ownership might look and feel a little the worse for wear inside. 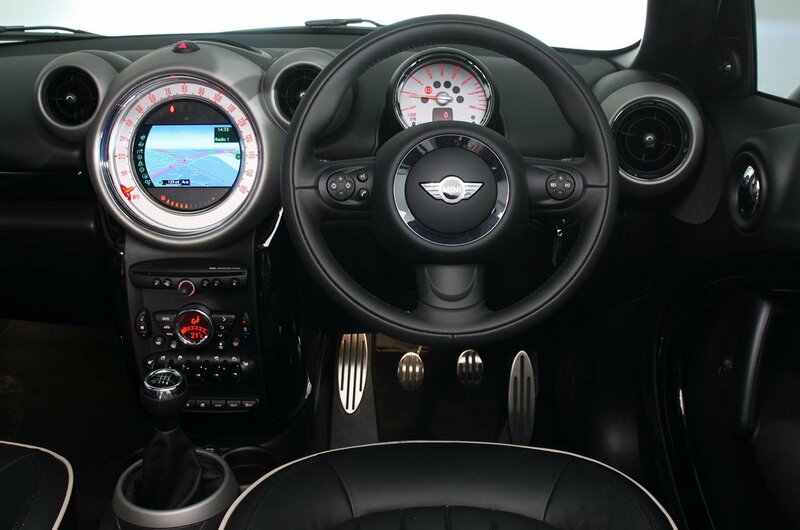 The Countryman features Mini's trademark central speedometer, while old-school toggle switches and chrome detailing add to the retro feel. Unfortunately, the controls are haphazardly arranged, many of them are fiddly, and some of the hard plastics lower down on the dash may well be showing signs of wear by now. There are no such problems in the Yeti. Chunky stereo buttons are combined with colour-coded heater dials and well-sited minor controls, and it has classier interior plastics than its rivals, which will probably therefore be showing less wear. 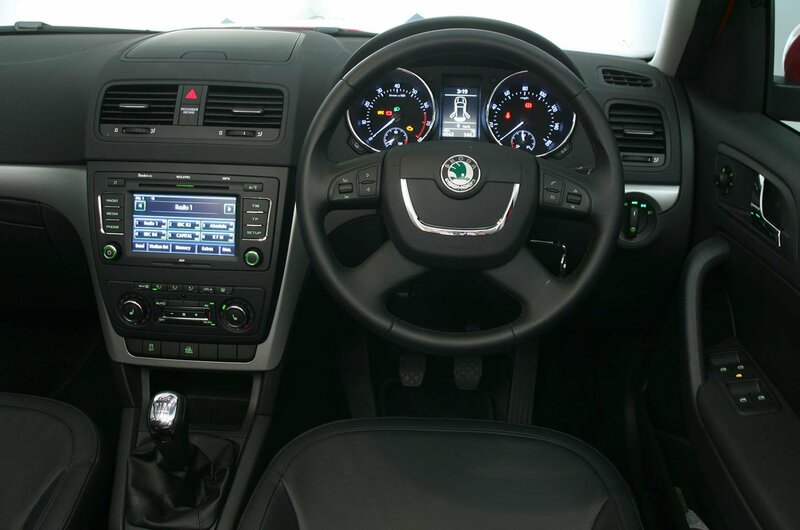 It's just a pity that the design of the dashboard is about as exciting as getting socks for your birthday. All three cars have plenty of room up front, although it's easiest to find a comfortable driving position in the Yeti because it's the only one where you simply turn a wheel to change the backrest angle; the others make you pull a lever and use your weight to adjust the seat. Some people will also feel that they're stretching to reach the Juke's steering wheel, because there's no telescopic adjustment, and the Juke and Countryman both have rather limited over-the-shoulder visibility. In the rear, Countryman buyers can choose between a three-person bench or two individual seats. Either way, there's plenty of space for a couple of people who are six feet tall. The Yeti is even roomier, but the Juke has tight head room and rather small door openings. The Juke also has the smallest boot of the three, although it's far from tiny and has a useful storage well under the floor. The Countryman goes one better with a false boot floor that divides the load area in two or folds neatly out of the way, and its rear seats can be slid forward if the people in the back are reasonably short. The Yeti's outer rear seats slide, too, and its boot is the biggest of these three cars. Folding the rear seats is easiest in the Countryman and Juke because you simply flip the backrests forward. The Yeti's backrests fold onto the bases and then the whole seat tumbles forward to create the tallest (but shortest) load area here. The Yeti's rear seats also lift out, although they're rather heavy.